West Bengal Health Recruitment Board (WBHRB) has released the WBHRB West Bengal Staff Nurse Admit Card 2018 on January 02, 2019, at www.wbhrb.in. The candidates who have successfully registered for WBHR Staff Nurse Recruitment 2018 before or till the last date for those candidates only WBHRB West Bengal Staff Nurse Admit Card 2018. The candidates have to registration number and password to download the admit card. It will be mandatory for all the candidates to carry their admit card on the day of examination. From this page, the candidate will get full information regarding WBHRB West Bengal Staff Nurse Admit Card 2018. Latest: The WBHRB has released the interview call letter for West Bengal Staff Nurse. Scroll down to access the same link. 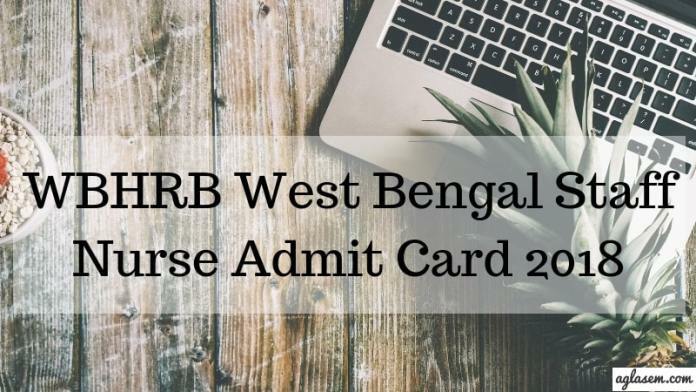 Admit Card: Click here to download the WBHRB West Bengal Staff Nurse Admit Card 2018 for an interview. How To Download WBHRB West Bengal Staff Nurse Admit Card 2018? Candidate can follow the given below steps for downloading the WBHRB West Bengal Staff Nurse Admit Card 2018. After downloading the admit card candidate should take a print-out of the admit card for future reference. In New, Tab website will open from there click at the link in which WBHRB West Bengal Staff Nurse Admit Card 2018 mentioned. Thereafter, the candidates have to enter the registration number and password. 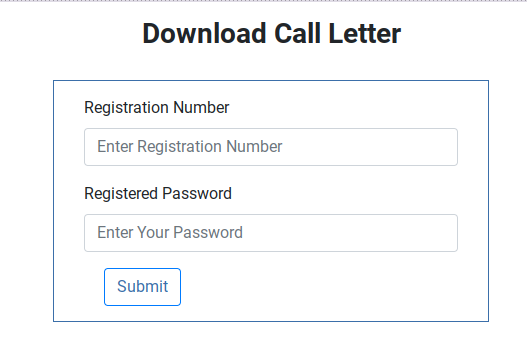 Admit Card page will open, click at the download option for downloading the Admit Card. After downloading the Admit Card candidate should check the mentioned details on the Admit Card. If on the Admit Card any incorrect detail is mention then immediately contact to the releasing authority of the Admit Card. From below candidate can see the details Mentioned on the WBHRB West Bengal Staff Nurse Admit Card 2018. As of now, any examination pattern has not been decided. Thus the surety of the exam is depended on the number of applications. Hence candidates have to wait for any notice from the Board. As soon as the decision will be taken by the Board about the selection procedure the process will be updated here. Till then candidates are suggested to keep their eye on this page. WBHRB West Bengal Staff Nurse Admit Card 2018. Candidates need to follow the below-given instruction on the day of the WBHRB Staff Nurse Examination 2018. Applicant should bring their black and blue ball pen.